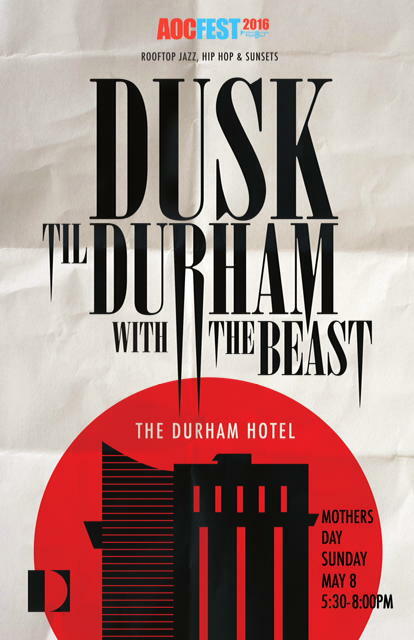 Celebrate Mother’s Day with the return of Dusk til Durham, an evening of progressive jazz and indie hip hop with The Beast! Art of Cool presents this festival cool down show on the roof. All ages, no fee for entry. Come early to claim a prime spot or call 919-768-8831 for a reservation. The roof is open 3-10pm Sundays. Mother’s Day Brunch is 10:30am-2pm in the lobby. Call for reservations. Click here for tickets to Art of Cool Festival.